Have you ever heard of The Friends of the African Union Church of South Coventry (FAUCSC)? In 2010, FAUCSC was established as a non-profit to preserve the remnants of an historic African-American church and cemetery that had been abandoned many years ago on Coventryville Road in South Coventry. You can visit them on the web at http://www.faucsc.org/ to learn more or make a donation. FAUCSC will host two public information meetings at the South Coventry township building on Thursday, November 8 at 7:00 pm and Saturday, November 10 at 10:00am. 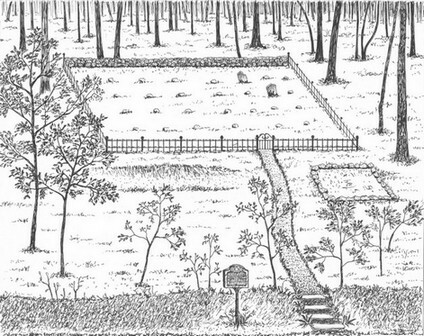 Members of the FAUCSC will discuss their work to preserve the early 19th-Century church and cemetery located in the township. Residents and anyone interested in local history are invited to attend. There are some photos and some more information in this Mercury article by Brandie Kessler about 2012 Earth Day activities in the area. You can also visit www.faucsc.org to learn more.